One-stop shop for all your school needs. New academic sessions bring new excitement. It’s always fun shopping for the academic year ahead. Amazon brings you a store to address everything on your school list. Say good-bye to running around for your kid’s last minute school demands. Find the comfort of ordering everything from school bags and school shoes to textbooks, stationery, sports equipment and lots more. Buy colourful school clothing for nursery and kindergarten students. Black school shoes for all ages groups and classes from brands like Lotto, BATA, Liberty and more. White PT Shoes also available in all sizes. Shop trendy watches from brands such as Fastrack and Disney. Explore selection with your favorite characters – Chhota Bhim, Mickey Mouse, Avengers, Barbie and more. Also available are tiffin boxes and water bottles in all shapes, sizes and colours to make lunch-time fun. Explore a wide range of smart school bags. Character school bags from Disney for junior students always brighten a boring school day. For higher classes, shop trendy backpacks from brands such as –Puma, Tommy Hilfiger, Wildcraft and Reebok, Dickies and Jansport. Course books, entrance exam preparation books and text books from across grades are available on the store. For convenience the store has a shop by age section that divides students into four age buckets. First section is for nursery and pre-school. It covers students below five years in age. Second section is for junior school, covers students of classes I, II, III, IV and V. Third section is for middle school, covers students from classes VI, VII, VIII and IX. Fourth section is for high school, covers students from classes X, XI and XII. You can also buy stationery for different age groups. Crayons for junior classes. Notebooks, pens, calculators and geometry boxes for higher classes. Explore through a range of educational toys that make learning easy and fun. Gone are the days of paper books, its time to bring home a kindle for making reading more enjoyable. A perfect gift for your young readers. The best thing about integrating education with technology is that it makes the scope of learning for wider than textbooks. 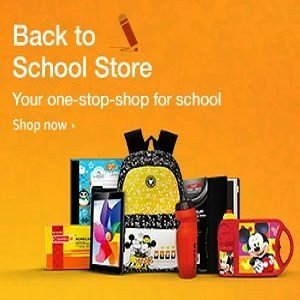 BTS store at Amazon offers laptops, tablets and cell phones that enrich your child’s learning experience and fit well within budget. For budding sports enthusiast, there is sport equipment for Badminton, Basket Ball, Cricket, Football, Tennis & other sports, to be explored. Also available are art & craft material for school, drawing and colouring books for the young ones and professional art & painting equipment for older kids.